Vajrasattva is known as the king of Purification and the condensed nature of the Hundred Deities mandala offering to Vajrasattva help to purify negative karma, including broken samayas. 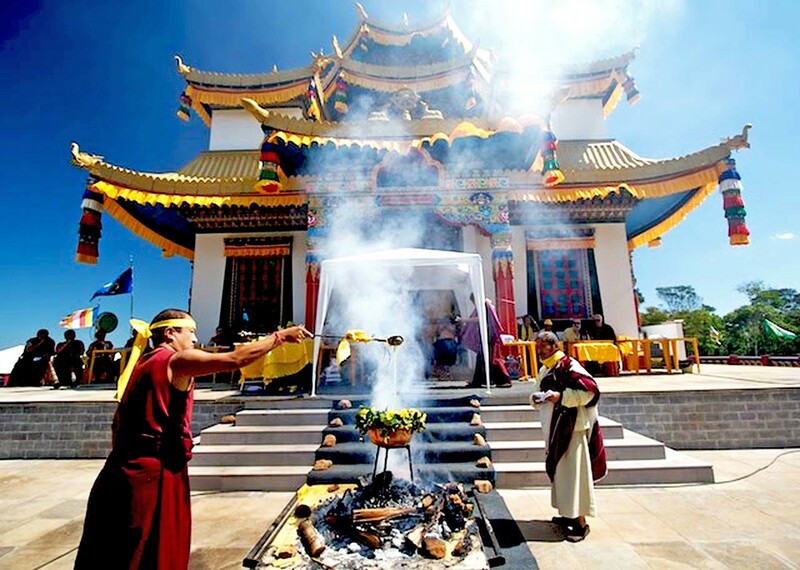 The smoke or its essence is being offered to four groups of beings : Buddhas, Bodhisattvas, and all the other deities, the dharma protectors, all sentient beings, the nagas and spirits to whom we may owe a karmic debt, for the first two groups, the Smoke is presented as offering while for the other two, it is given as gifts. Before putting our plate or cup of offering into the fire, one must visualize that the offering is vast ocean of precious substances offered to the four beings mentioned above and that all of them are extremely please when they receive our offerings and gifts. This Smoke Puja enable participants to accumulate merits and blessings. It facilitates the purification of our bad karma, sicknesses and obstacles, paying off the karmic debts of our precious live, as well as increasing wealth and life spans for our present and future lives.